Having the right chemical concentration is an important aspect in providing that crisp sparkle we are known for. With proper water testing and a savvy business with knowledgeable techs that can balance chemicals in any size pool. Never worry about storing potentially dangerous chemicals at your home. In particular, an excellent plus for families with children and pets. Costs will vary depending on a few factors including the size of your pool, your location, and whether it is salt water or chemical. 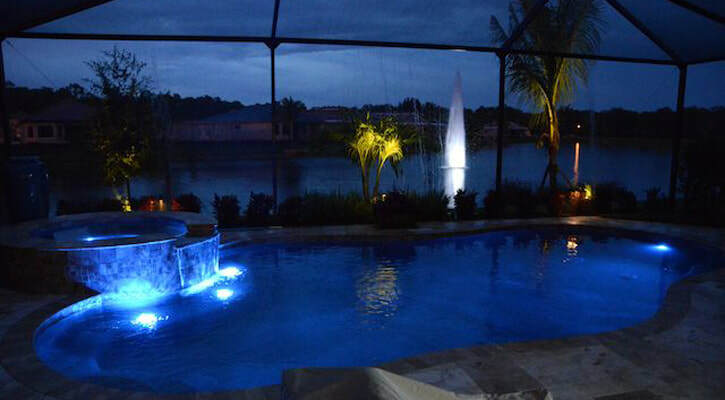 The above figures give a decent ballpark figure for our pool cleaning services, but it is best to get a no obligation free quote from us by filling out the quote form or calling 239-204-3588. So what do our professional technicians do when they arrive at your home for your pool service? First, they run a quick chemical check using some test strips and get any chemicals that need to be added ready to go. Now, out come the brushes! This is where your tile perimeter will be scrubbed making sure we get into the grout really well. Then we'll work our way down to scrubbing the floors, stairs, and fountain if you have one. Vacuuming will occur as needed. If you are seeking salt water swimming pool care, we can absolutely help you with that too!